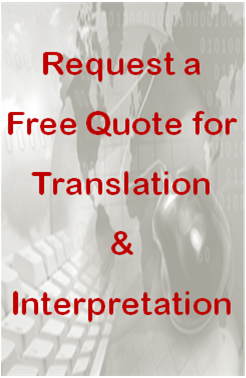 Need instant translation from English to Spanish? We can make it happen. This video shows how it looked at tonight’s City Council meeting on sanctuary cities in Seaside, California. The audience at today’s event received Spanish translation through reading rather than listening. Why? Because this method can accommodate a large turnout, since everyone can read the translation on their phone or tablet. This instant translation solution involves a combination of simultaneous interpretation and real time captioning. Simultaneous interpretation first appeared as a mode of oral translation in response to the need for a way to receive interpretation without doubling the length of a meeting. Using technological advances that are now available, Monterey Language Services combines simultaneous interpretation and real time captioning to provide “instant translation” or “visual interpretation.” This method gives audience members the convenience of a translation they can read on their phones, tablets, or other devices. Instant translation is suitable for audiences of any size and useful for those who are hard of hearing and require CART or Remote CART services. Monterey Language Services is a long-time provider of Simultaneous Interpretation, Remote Real Time English Captioning, Remote Real Time Spanish Captioning, and other services, which cover All Languages. We specialize in providing solutions to address both the cost and time-saving needs of our customers, regardless of the size of their audience. Contact us if this type of service is what you need for your next event or conference!